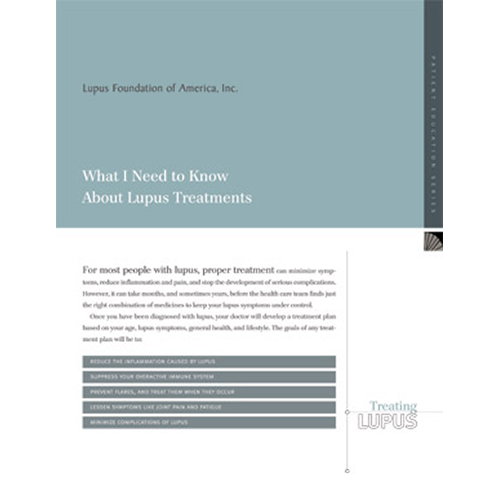 This is a short and easy-to-read version of our booklet of the same title discusses the many medications used to treat symptoms of lupus, what kinds of new drugs are being studied and developed, and guidelines for considering the use of complementary and alternative medicines and therapies. Sold in Packs of 100. © 2019 Lupus Foundation of America, Inc. All Rights Reserved. No part of this website may be reproduced without written permission.